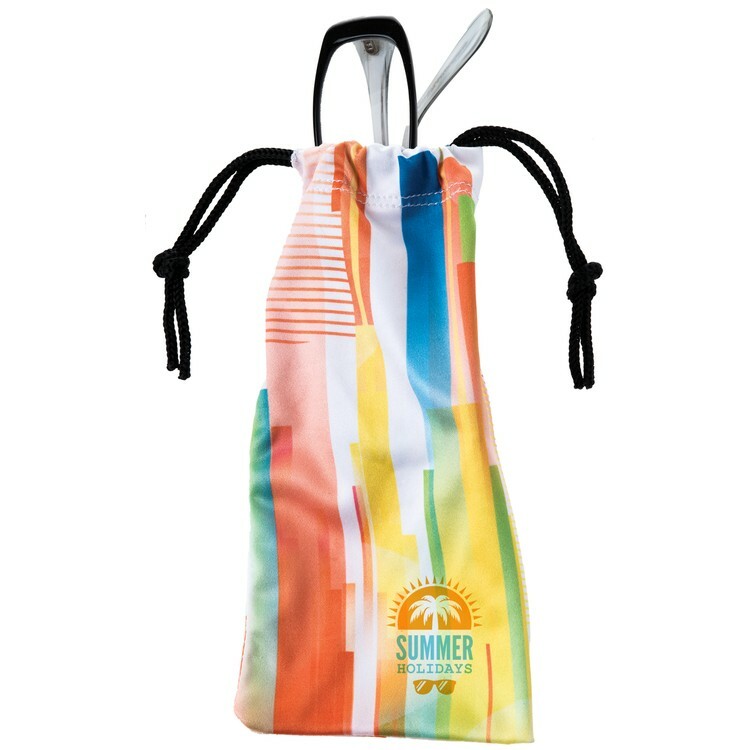 Made of Microfiber cloth with a black drawstring closure, this product is ready to be sublimated with your artwork. The design will wrap around the pouch. Perfect for eyeglasses or anything else you would like to keep from being scratched. • Maximum Artwork Imprint Area: 7 1/2 x 8 1/2"